When will be Garth Marenghi's Darkplace next episode air date? Is Garth Marenghi's Darkplace renewed or cancelled? Where to countdown Garth Marenghi's Darkplace air dates? Is Garth Marenghi's Darkplace worth watching? "Garth Marenghi's Darkplace" is the brainchild of celebrated horror writer and self-styled "fabulist" Garth Marenghi, author of such genre classics as Afterbirth (a mutated placenta attacks Bristol) and Crab! ("One of the three best horror books about crabs I've ever read" - Hard Gore Magazine). Back in the 1980s, he branched out into television production, writing and starring in a series so radical, so scary and so downright crazy that when the bosses of Channel 4 saw what they had on their hands, they ran away screaming, like little girls. Only now, twenty years on and amid the worst programming drought in television history, have the station finally allowed the show on the air. Intercut with new interviews with Marenghi himself and his co-stars Dean Learner and Todd Rivers, Garth Marenghi's Darkplace is perhaps the most disturbing vision of hospital life ever broadcast. Somewhere on the wards of Darkplace Hospital, a man gives birth to a giant eyeball which brings out paternal instincts in Dagless, still grieving for the loss of his half-human, half-grasshopper son. However, the eyeball could be a potential killer. A mysterious illness spreads like a particularly virulent disease through the wards of Darkplace, causing doctors and patients to revert to an earlier genetic state. Dagless must stop it before he becomes a primate. A Scottish mist descends on Darkplace and Dagless has to act fast to prevent all the English people in the hospital from grave danger. 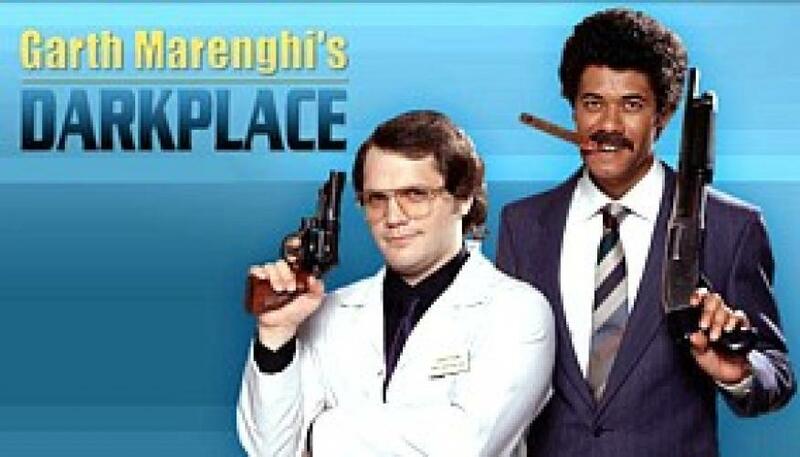 Garth Marenghi's Darkplace next episode air date provides TVMaze for you. EpisoDate.com is your TV show guide to Countdown Garth Marenghi's Darkplace Episode Air Dates and to stay in touch with Garth Marenghi's Darkplace next episode Air Date and your others favorite TV Shows. Add the shows you like to a "Watchlist" and let the site take it from there.